Smoked fish or in fact smoked anything is not only a tasty meal but also a national pastime. 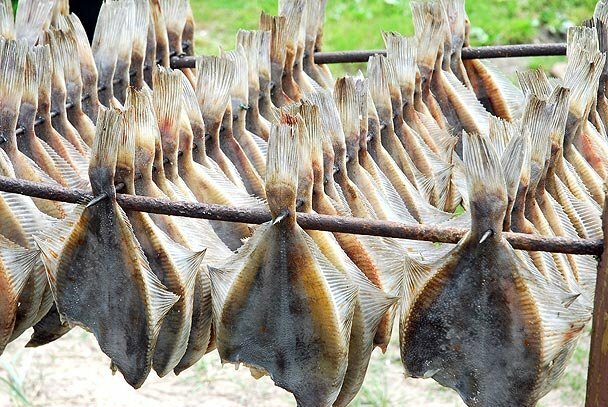 In small fishing villages along Latvia’s coast you will often smell the pungent slow cooking of freshly caught fish in the air. If you are daring enough, approach the hut or house in question and ask if you might buy some. These old fisherman might look a little weather worn but believe us, the taste is worth the fear, and you will find that they will be more than happy to offer their pride and joy. Three good areas that come to mind along the coast are down south close by the Lithuanian boarder in the area of Nice, up on Latvia’s northern tip of Kolka and almost to the Estonian boarder in a town called Salacgriva. The word for smoke fish in Latvian is “Kupinats zivis”.